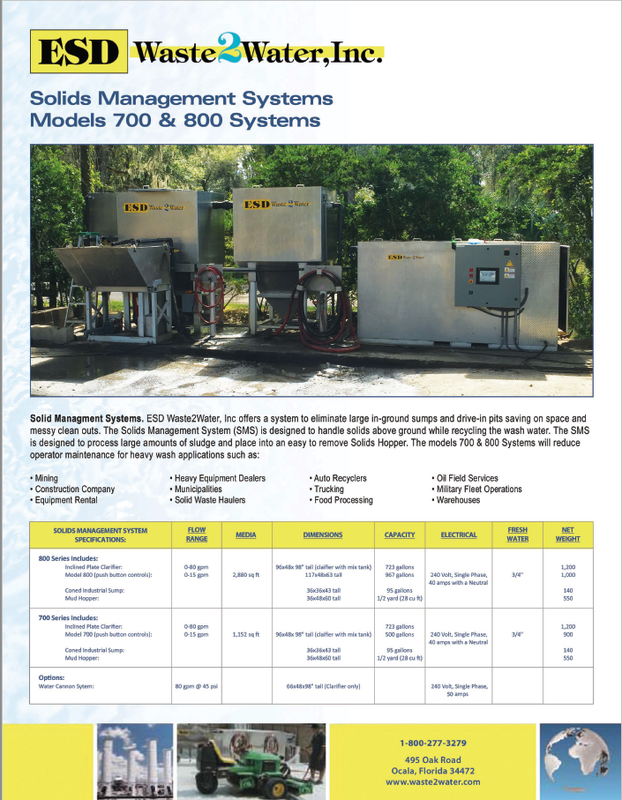 At ESD Waste2Water, we manufacture a system designed specifically for pretreating metal to prepare it for paint or powder coating. 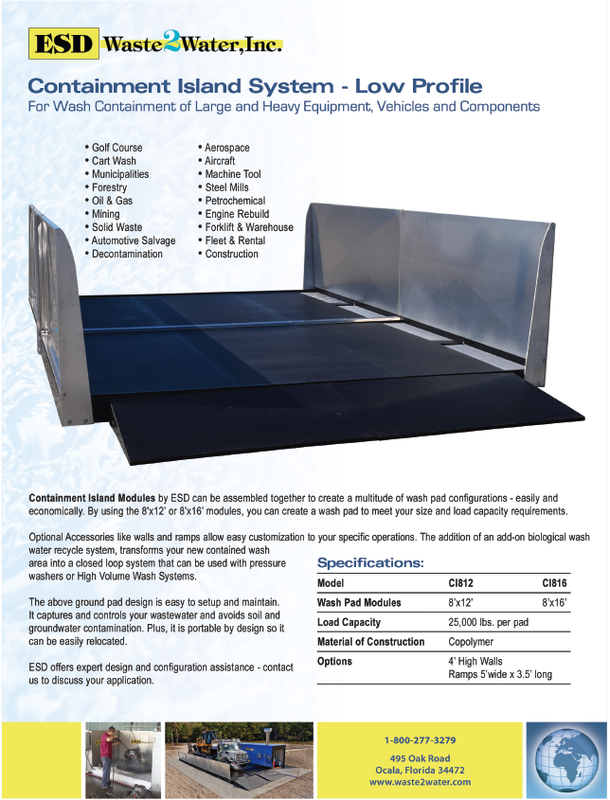 This system can be used and works great for cleaning and stripping old metal products such as wheels and other automotive parts, construction equipment parts, and other finished metal surfaces of the old paint to prepare them for restoration and new paint. 1. 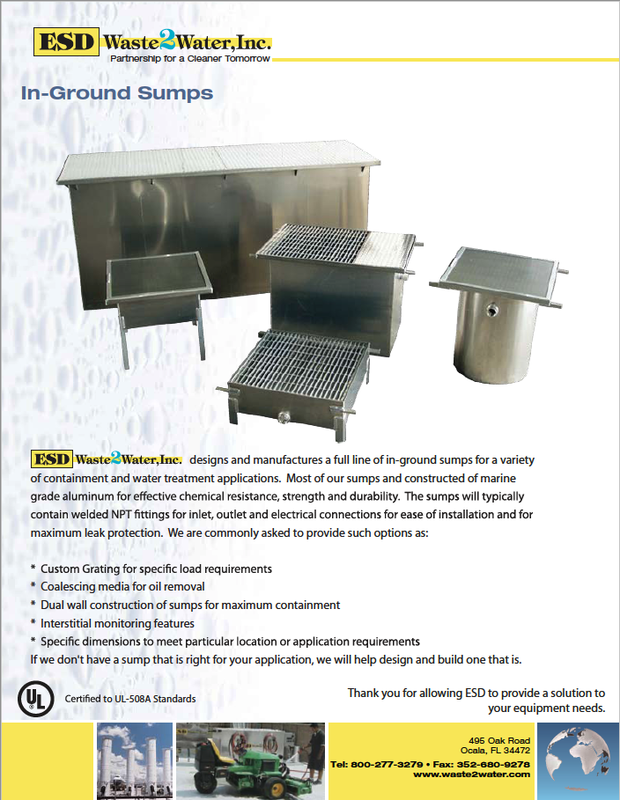 Clean and pretreat metal parts with heated phosphatizing solution in preparation for powder coating and painting operations. 2. 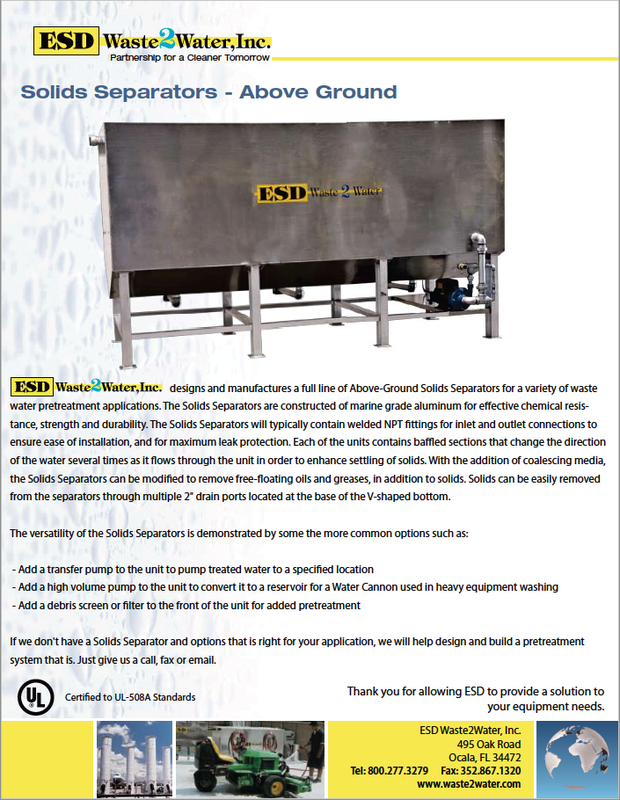 Recycle the phosphatizing solution for up to 90% recovery. 3. 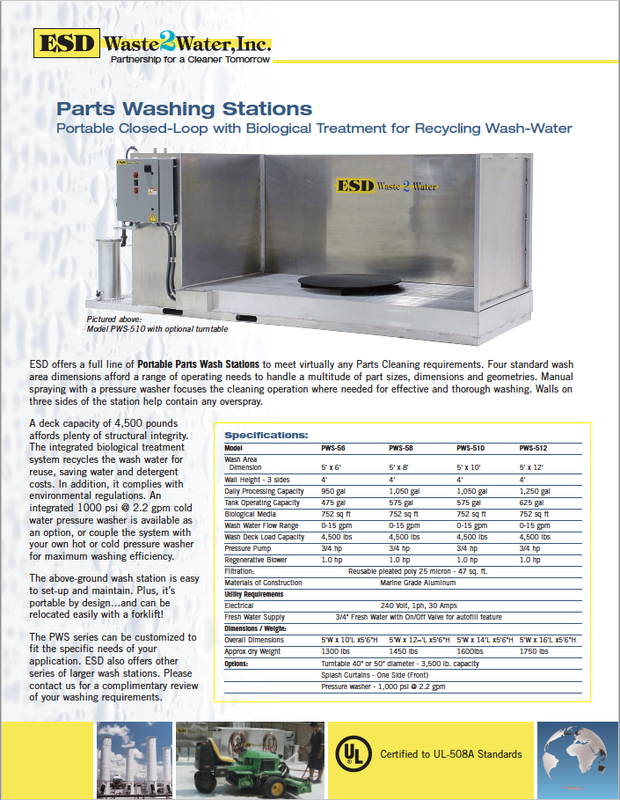 Provide a fresh water rinse cycle for final preparation of metal parts. All of this in one, compact unit. 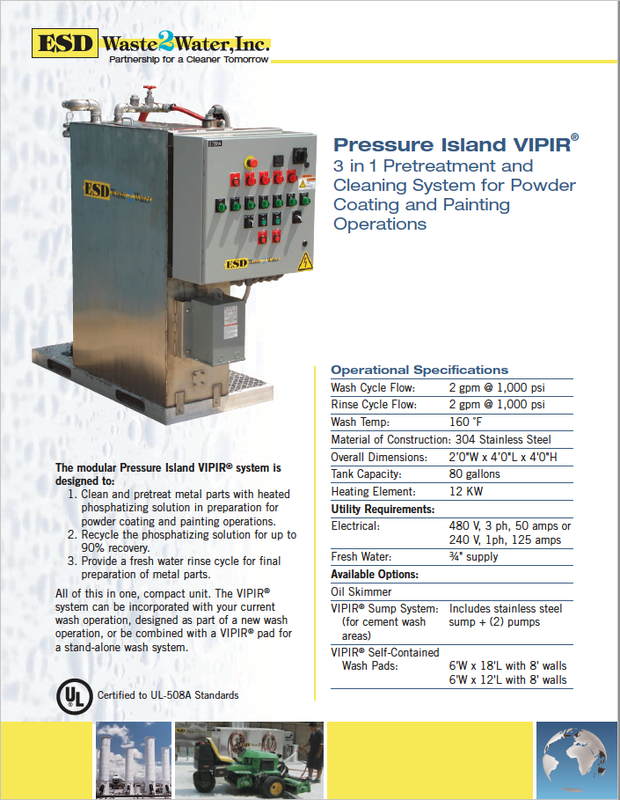 The VIPIR® paint pretreatment and powder coating prep system can be incorporated with your current wash operation, designed as part of a new wash operation, or be combined with a VIPIR® pad for a stand-alone wash system.